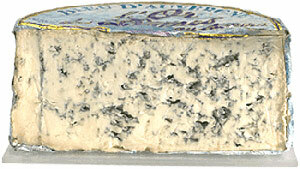 A classic - if you haven't tasted roquefort, you haven't lived. Cured ham from the Basque region. This is without a doubt one of the finest roquefort cheeses I have ever had the pleasure of tasting (and I've tasted plenty!). Outstanding stuff GG! I even bought some for my mother-in-law for her birthday (OK, fair enough, I then promptly ate it all, but it was too good to waste on her anyway).